(C) 2009 Warrior Concepts Int'l, Inc. Contrary to popular belief, the human body has a set of preset, hardwired defense modes that can be used to in your defense in a self defense situation. In this article, I'll briefly discuss these modes and how they can be used to handle a dangerous attack. To look at most martial arts and self-defense classes, you can quickly come to the conclusion that all you have to do is memorize a bunch of moves or techniques, practice until you can do them well, and...well, that's it. You're a master or self-defense expert. But, there is one element that is generally missing from most self defense training. And that is the use of the emotional states as tools for defense. In the past few years, systems and programs have emerged that focus on what's known as "adrenal response training." These programs, however, tend to concentrate on only one of these emotional states, or modes. Each of these modes is more than a mood, state, or condition that we can find ourselves in. They also control, in many ways, how we think, and even work to free or limit certain types of body movement. As I said, each of these modes is both a response to the current situation, and a strategy for handling a situation in a very specific way. As a general outline, I'll briefly describe each mode from both a responsive and a controlling perspective. Please note that the modes are in no particular order of importance, nor is one better than any of the others. Although you may find that one or two or more comfortable or "natural" for you, each should be seen as an option that can be employed in a self-defense situation. And, as I've said time and again, the more options you have in any given situation, the greater your chances of success. This attitude is marked by a general sense of relaxed calm. You really don't perceive a threat and you are in command of the situation. Notice that I didn't say that you were stubborn and forced a sense of command. In what I call the "earth-mode," you use superior positioning and relaxed strength to stop his attacks and direct your strong points against his weak ones, using leverage and crushing pressure to put an end to his assault. Just like water, you adapt to his movements. You use long-range, defensive angling to avoid his attacks and then crash back in with powerful strikes and kicks to his exposed weak points. This mode is usually present when you feel overwhelmed by his size, strength, or other factors. You naturally want to create time and distance between you and your attacker so that he has to work harder to get at you. Either out of fear, anger, or a need to get-there-first, you move in and take the fight to the attacker. In the "fire" mode, you are drawn by a sense of urgency and a need to get things over with quickly. When I say "aggressive," I don't necessarily mean destructive, but rather a direct, committed, "go-for-it" attitude that moves you directly in to meet the assailant before he can really get started. Again, this mode could be triggered by anger just as easily as it could be created out of a sense of being cornered and needing to take action right away. This mode is marked by a very free, open movement with a sense of last-second timing to evade, avoid, and trap the opponent with his own attacks. The posture associated with this mode is very open and looks very strange when compared to the conventional martial arts and self-defense stances that you usually see. This mode could be caused by a desire to avoid the situation altogether. It could also be used in a playful, confusing manner as you easily slip your attacker's punches, kicks, and grabs only to catch him with your own attacks from unseen and confusing angles. As I said, there is no one best mode. Each is a natural response that is hardwired into our systems and a part of our overall natural human defense mechanisms. While each of us has leaned toward one or another of these modes throughout our lives, and see that one as being "only natural" for us. The truth is that, with training, each mode can be developed, enhanced, and honed as a very powerful strategic option for handling a real-world self-defense situation against a very real-world attacker. Are you a private individual, law enforcenment or security professional, member of the military, or corporate manager looking for real-world self-defense training that works? Get the information you need to survive a real world self-defense situation. 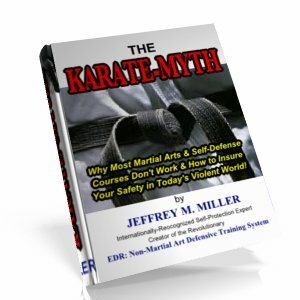 Jeffrey Miller is an internationally-recognized self-defense expert. 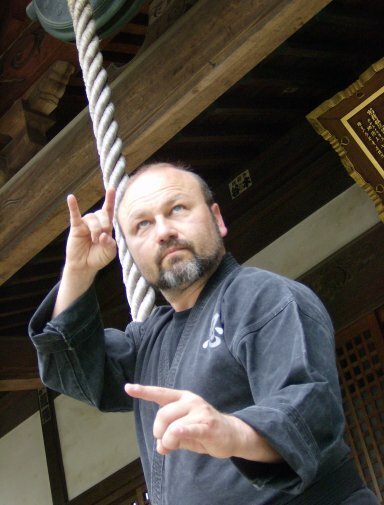 He is the creator of the unique EDR: Non-Martial Arts Defensive Training System and teaches individuals, security professionals, companies, and organizations how to be more safe in Today's often unsafe world. 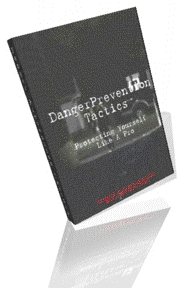 Danger Prevention Tactics DVD Buy it now!